"Thirteen Moons: Removal" by Charles Frazier with the Cherokee Translation by Myrtle Driver Johnson. This is the inaugural publication of the Yonaguska Literature Initiative from the Museum of the Cherokee Indian Press, Cherokee, NC. This inaugural publication of the Yonaguska Literature Initiative provides an unprecedented translation of a major literary work into an endangered American Indian language--Cherokee. 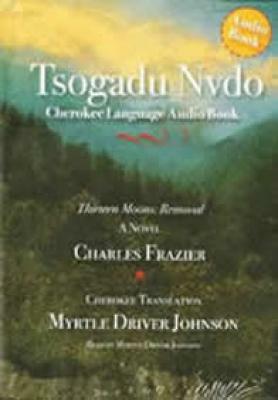 The "Removal" section of the novel focuses on the Cherokee struggle to stay in their homeland. This translation into the Cherokee language is part of their struggle to hold on to their language and culture.